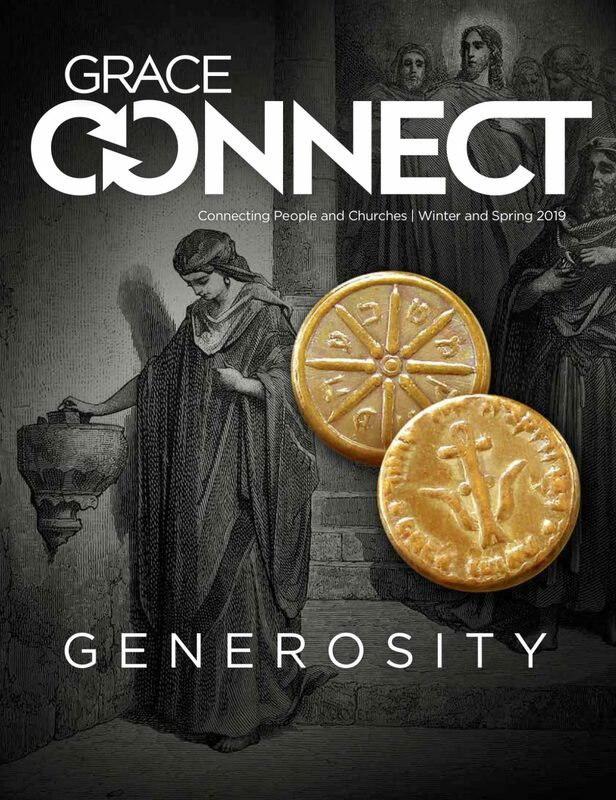 Generosity is the theme of the Winter-Spring issue of GraceConnect magazine. The publication is in the mail to subscribers and is available online by clicking here. You may also read it at issuu.com. Articles include how to better manage your funds in order to bless the kingdom, lessons in biblical generosity, and how to encourage good stewardship in your children. There are also features on a ministry in Auburn, Calif., that generously blesses the needy in their community and about how the Portis, Kan., Grace Brethren Church used the principles found in the parable of the talents to raise funds for a missions trip. The generosity of the Grace Brethren Investment Foundation is also featured. Articles will be included on graceconnect.us throughout the next few weeks. Bulletin announcements have been emailed to individual churches for use in bulletins, email newsletters, or other publications. The magazine is mailed to individual’s home via U.S. Mail at no charge. To register for your free subscription, click here. Subscribe before June 14, 2019, to receive the Summer 2019 issue delivered directly to your home.